Only if you lived under a rock would you not have heard that The Espy is finally back and it’s better than ever. Since being awoken from its three-year slumber in late-November, The Espy has had an unbelievable amount of people walk up its famed stairs and enjoy a couple of cold ones. 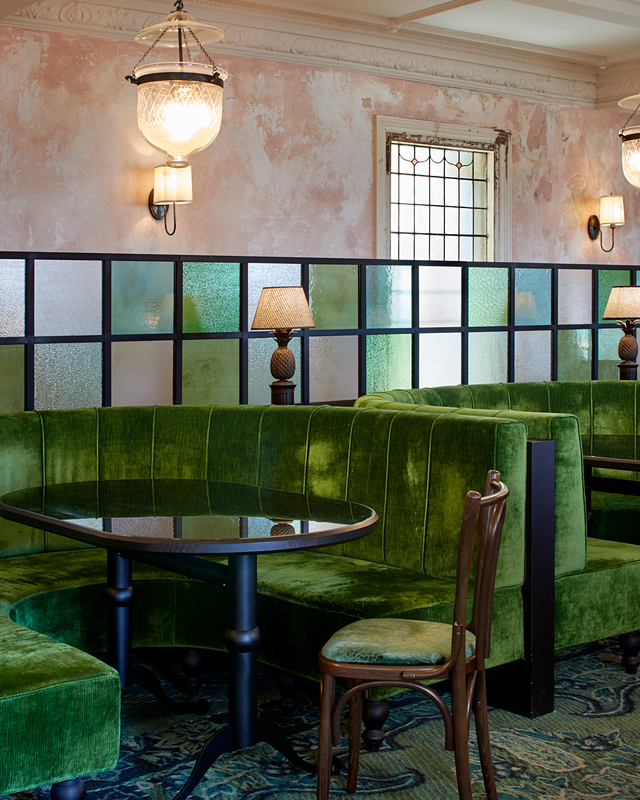 A massively important part of revitalising The Espy was the want to keep as many of the original elements as possible, from the floorboards to preserving the soul in the Gershwin Room—history has been a massive part of bringing the Hotel Esplanade back to its former glory with a few modern additions. Sand Hill Road—The Espy’s owners—employed the expertise of Melbourne architects Technē Architecture + Interior Design to update the hotel and breathe new life into a structure that had laid dormant for three years, and needed much more than a new coat of paint. I spoke to Justin Northrop of Technē to find out how they went about the project. What excited you most about designing this iteration of The Espy? Simply being 'The Espy' was enough to make it exciting. Iconic is a word used far too often but in this case, it seems appropriate. The Espy was firing as a venue when I moved to Melbourne in the early 90s and I remember it well, as do many people across a long span of time. It is a culturally important place that acts as a keystone for St Kilda and it has been fantastic playing a part in bringing it back to life. It was also exciting to be working on a project with an expansive brief that called for an aged and eclectic design response. 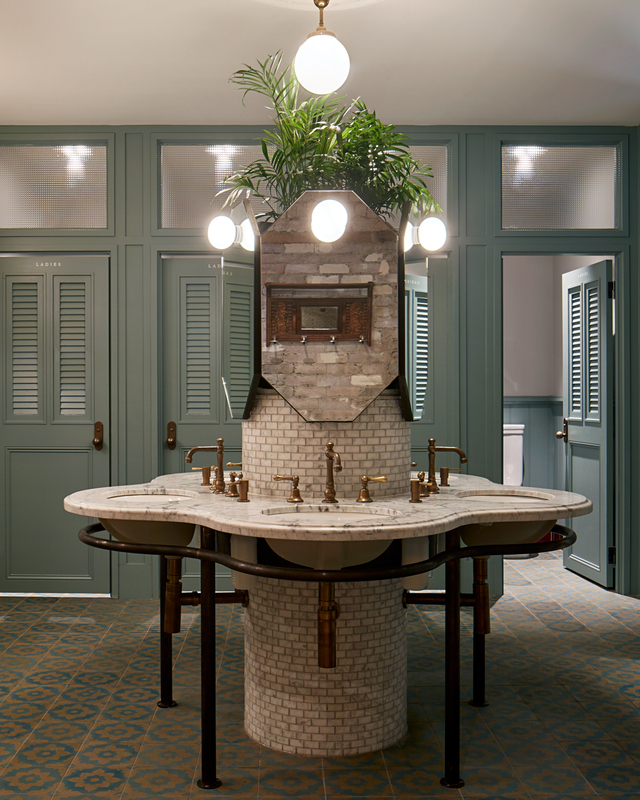 We had to think broadly about detailing, material and fitting selections and by partnering with stylist Eleisha Gray and other skilled people on the project, we could all achieve interiors that evoke the different eras of the building’s past lives. The list of challenges was long—like refurbishing an 1880s building and updating services without any airspace above the building—but these things were well managed by a great team of consultants and a very capable builder so as designers the primary challenge was the scale and scope of the interior design. 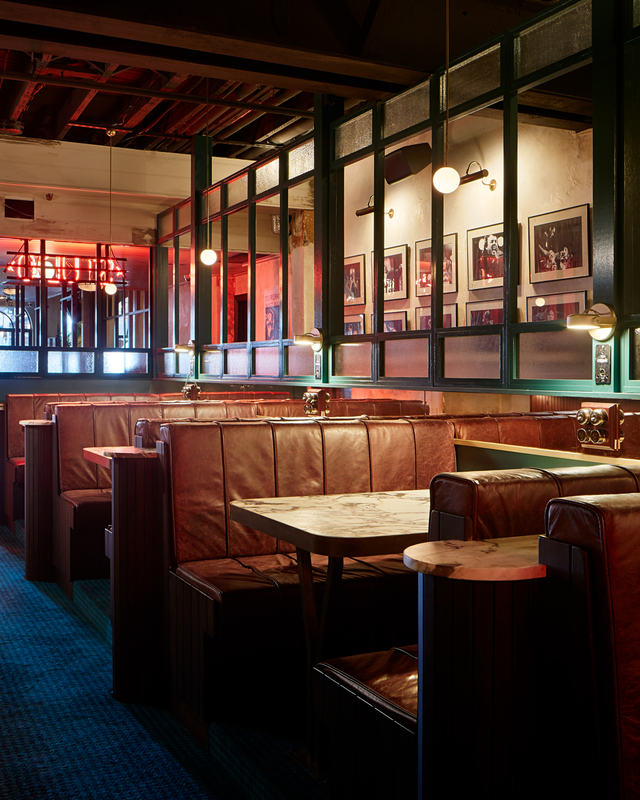 Throughout the venue there are 10 distinct front-of-house spaces that required their own materiality, detailing and décor. These spaces had to be appreciated as unique within the Espy and yet they needed to form a cohesive overall experience with transitions between them that were fluid and comfortable. How do you keep the soul of a venue alive while bringing it into the current age? The whole team had an awareness of how important it was to retain the soul of the Espy so we were all pushing for the same outcome. We came to appreciate that the character of the building has evolved via its different uses over a long history. The various interiors reference the many lives of the hotel and by celebrating its oldness the result is textural eclectic and approachable. It’s also important to note that live music will remain at the core of the Espy and the Gershwin Room is almost untouched. Retaining historical aspects of The Espy was clearly important, why is that? The Espy is a building with a truly colourful history. 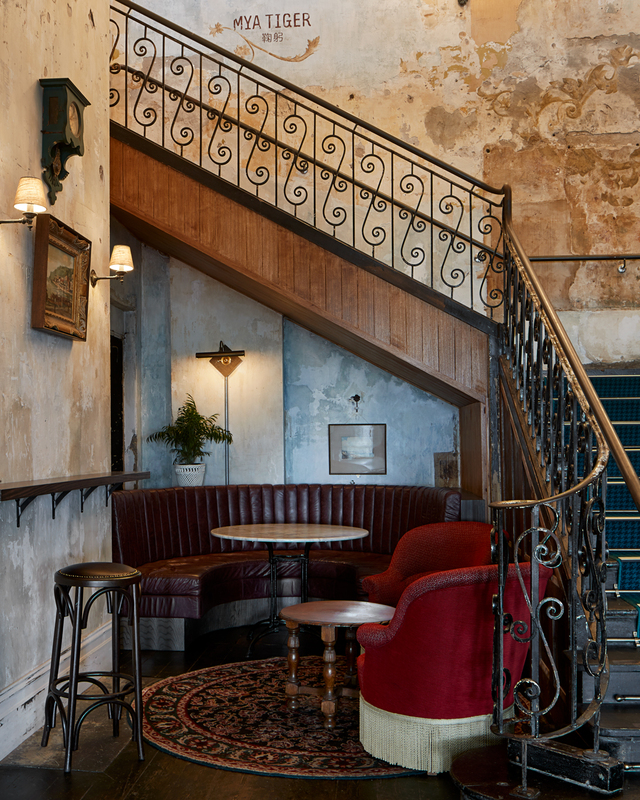 From Victoria’s grandest hotel in the 1880s to an epic Aussie rock pub, this building has been fought for and, by public outcry, preserved from re-development. Many people have visited and remember vividly their experiences in the Espy. It is a living heritage place where people have danced and drank and eaten and listened to music for generations. For us, to retain, preserve and reveal physical historical elements of the building is to celebrate its social heritage. 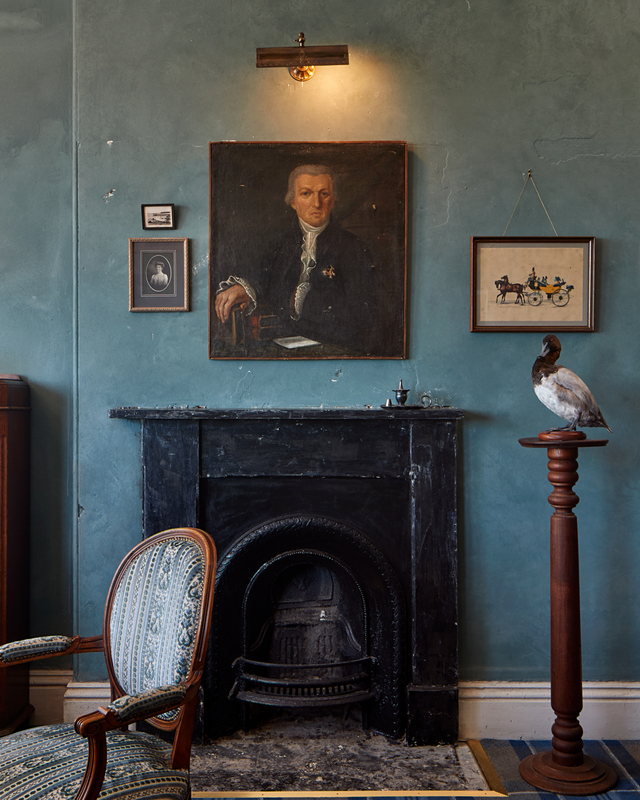 For more of a rundown of what you'll find inside The Espy, check out our feature here. And more info on upstairs Cantonese restaurant Mya Tiger can be found here.